Three years ago, I embarked on a challenge to integrate FNMI knowledge and blended learning with all of the Grade 3 students in my school. I teach AQ and college courses with D2L, so how hard could it be? It was quite challenging to say the least. So challenging, I decided to put the blended learning model on hold for the past 2 years. The fact is that I spent a lot of time adding learning goals, content, and links to the Ontario Education Resource Board (OERB), yet in the end, all we really ended up being able to do was access the front ‘News’ page, and click on the links to access the wonderful online activities from the OERB. It took 15-20 minutes just to get all of the 8 year olds logged in with the laptops most days. It also was not used consistently enough to make a true impact. However, after the recent changes that D2L has undergone to benefit students in Ontario, my recent learning from teaching higher ed, workshops and techhubs at my board, and the recent OTRK12 conference, I will definitely be embarking on this challenge again! Right now, I have a shell set up for my part-time role as a Teacher-Librarian and I am impressed with all of the changes that have taken place with D2L this past school year. First of all, it is more user friendly for primary students, second of all, there are more pre-made course shells for primary students that did not exist before, and finally, I now have more knowledge about how I need to change my pedagogy for it to be successful. With this all in mind, I have created a list of tips that I believe we need to keep in mind when setting up a blended learning environment with our learners. Give students ‘jobs’ to do – for instance, a ‘Tech-lead’ who will for example ‘unlock and re-lock’ the cupboard to keep personal devices safe, and take them out as needed. Write contracts with students and co-create success criteria. Focus on Assessment For/As Learning: learning goals, success criteria, descriptive feedback: students understand learning goals and success criteria of every lesson. Choose the Tools you will start with. (One at a time with primary students! ): ie., email, locker, blog, content, discussions, dropbox, ePortfolio – choose the ones you want to use with your students. Become co-learners with your students. Let students be experts along with you. Let students learn the tools and run with it. Run your classroom like a workshop. Eventually, not all students should be doing the same thing at the same time. Teach students how to disagree nicely with each other. Try Flipping your classroom! If you believe in giving your primary students homework, try sending home instructional videos instead – with students ready to come to class and work through the content and processes of learning with the teacher! Definitely have an open house to let your parents know all about your blended learning program! Do your best, let go of some of the control, and be ready to learn alongside your students! Think about how you will integrate FNMI knowledge and culture in a blended learning model. It is also important to remember, that implementing a blended learning environment will only be successful if we are able to adopt 21st century pedagogies that support these new types of blended learning environments. I am still considering how I will use this to reflect student voice, and how to effectively integrate FNMI knowledge and cultures into these blended models. What tips and strategies have you found to be successful? Thanks for your meaningful insights. I have found that a BYOD policy is not enough. It needs to become part of the culture of the classroom. We use the philosophy (adapted from Royan Lee) that we will use technology respectfully and to enhance learning not escape it. It works when they own the policy. Secondly, much like our adult learners using D2L, I use an LMS to enhance content in the classroom. If we are doing a read aloud and a song jumps into mind we post it. In the beginning of this year I had a lot of ownership. Now the students are constantly finding, posting, and generating discussions about what is happening in class. I love my LMS as a collaboration, communication and creation tool. Thank you for your post! I wholeheartedly agree with you – it is not just about the policies, but about a paradigm shift of how we teach in our classrooms and learning spaces! I am a big advocate of co-creating policies, learning goals, success critieria, rules etc. with students as well because the research does demonstrate that students take more ownership and pride when they are a part of it. I also appreciate that you said that the LMS is there to enhance content in the classroom. I believe that this is where we are at in our evolution towards new pedagogies in our classrooms. We are learning as we go and the great things we learn and share truly improves each other’s teaching practice with blended learning tools! Thank you for the tips. I have been exploring D2L throughout the year and while I recognize the benefits and power of the system I have been overwhelmed by the logistics of actually using it. What resources have you used to learn about D2L? I agree that the logistics are overwhelming, especially if you can only get your hands on a computer lab once a week, and only my netbook and smartboard computer as devices available in the classroom – which is the situation that I am in. I am fortunate that I have been working with D2L for years now and have already been engaged with course development and pedagogy with D2L in higher learning. It is intimidating and difficult enough for many adults to figure out, and especially so with students I have found. 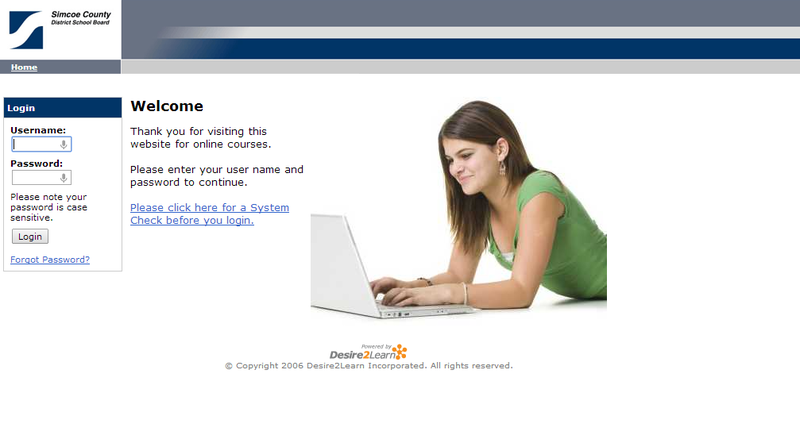 That is why I have just been using the D2L shell at this moment, pre-made for TL’s. I have added the widgets that have the free activities and curricular links for students, and that is as far as we have been able to use it. There are also great tutorials available as well. Also, whenever students create a presentation, they can upload their project to the ePortfolio tool – a safe place that will store their projects for the duration of their time with our school board. Thinking about it right now, I should probably record some screencasts for using D2L to share with other educators wanting to get started! It needs to be a slow and thoughtful process – particularly for our young primary students. I think it ties in with a whole new way of thinking about how we educate as well, so it is not just a logistical issue of equity, access, and training – it is also a pedagogical shift that needs to happen in my mind. Check out some of the resources on the main page when you first log in to the TL shell!